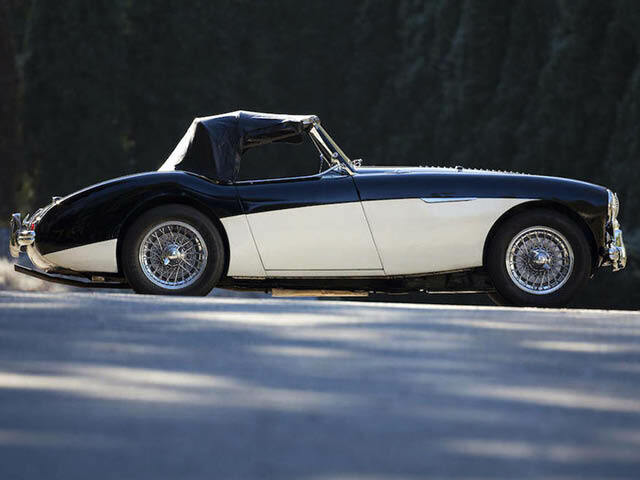 Built in June of 1955, this Austin-Healey 100 BN1 left the factory sporting Old English White paintwork over a red interior, with factory-fitted equipment including wire wheels, a heater and a miles-per-hour speedometer. 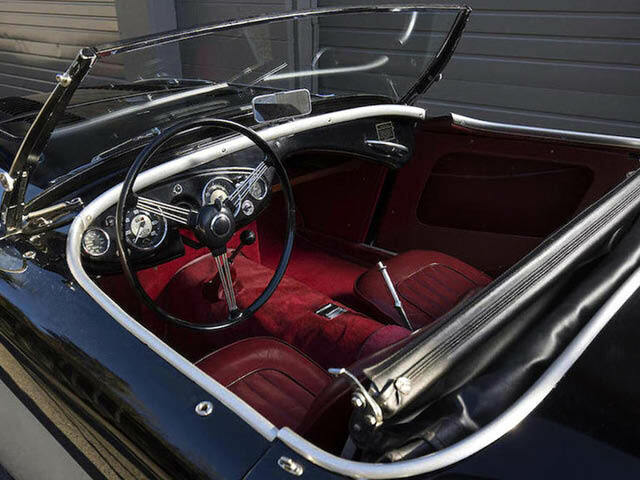 The car was configured as a left-hand-drive example, and was destined for the US market. 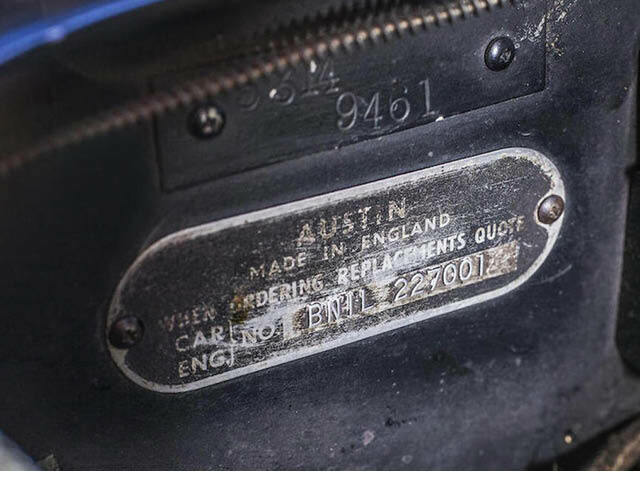 According to a notarized letter on file. 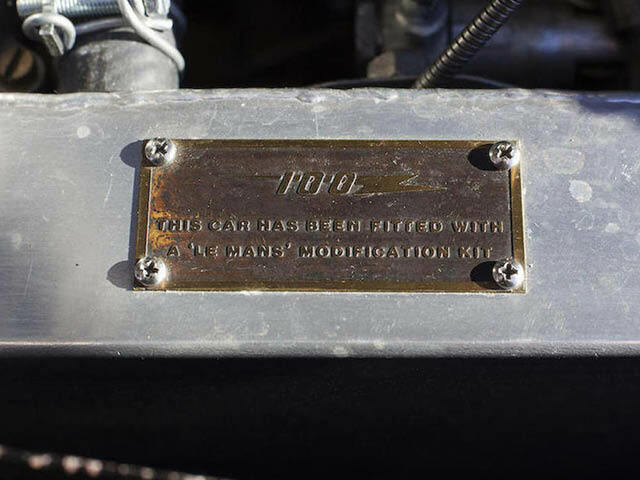 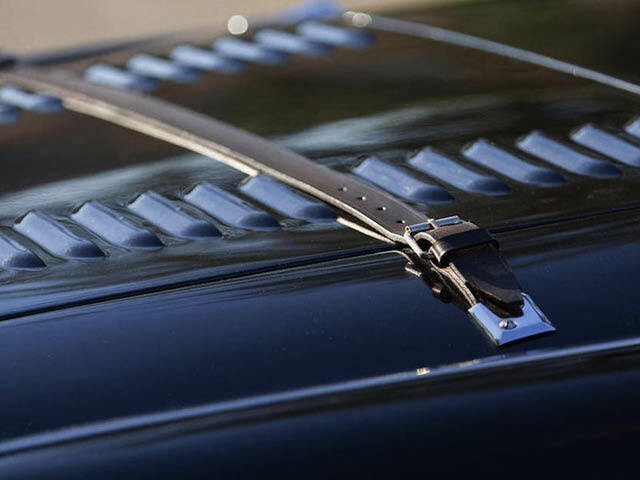 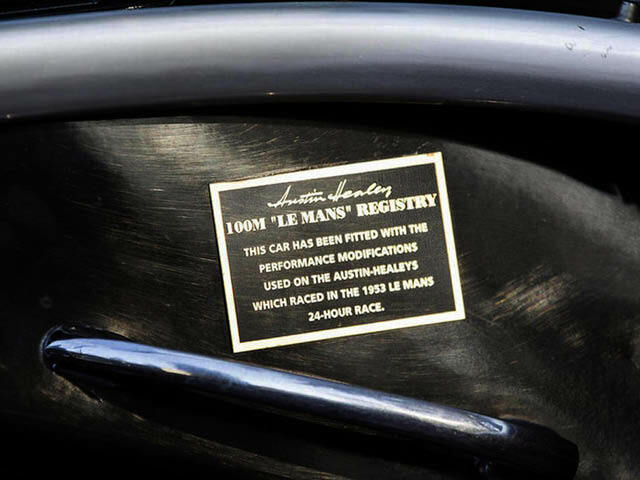 At that time, the car was already fitted with the desirable 100M Le Mans equipment, including the steel louvered bonnet, the larger SU carburetors with airbox, a larger front sway bar, and the internal engine parts. 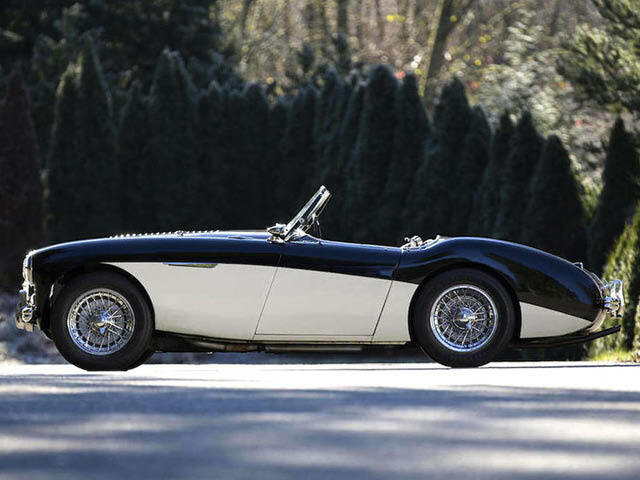 It is indeed believed that this 100 BN1 was equipped with its 100M Le Mans kit from an authorized Donald Healey agency soon after its arrival to the US, and therefore is now considered to be one of only approximately 500 Austin-Healey 100 “Dealer M” cars. 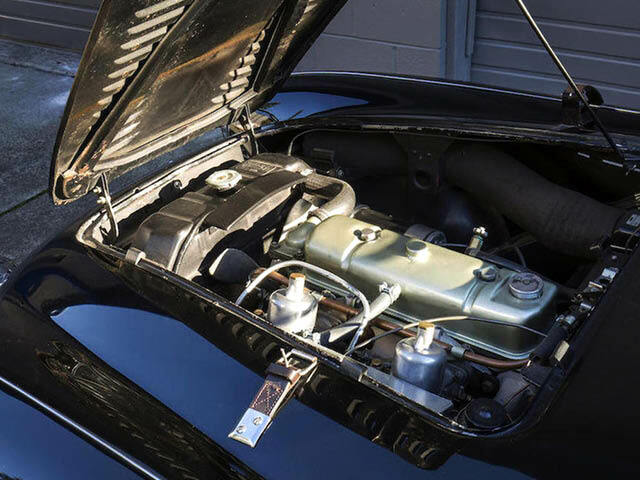 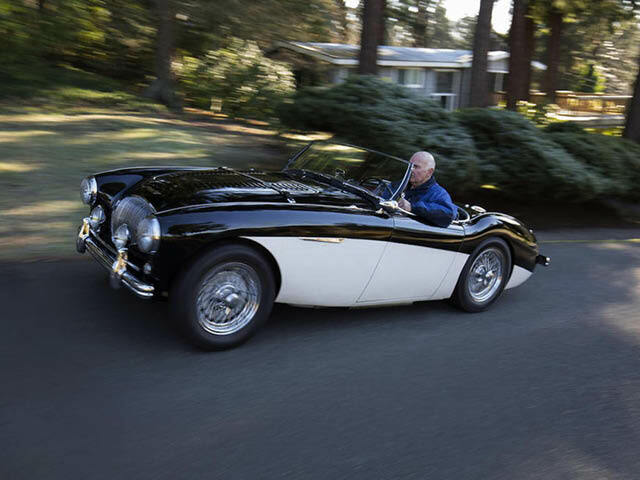 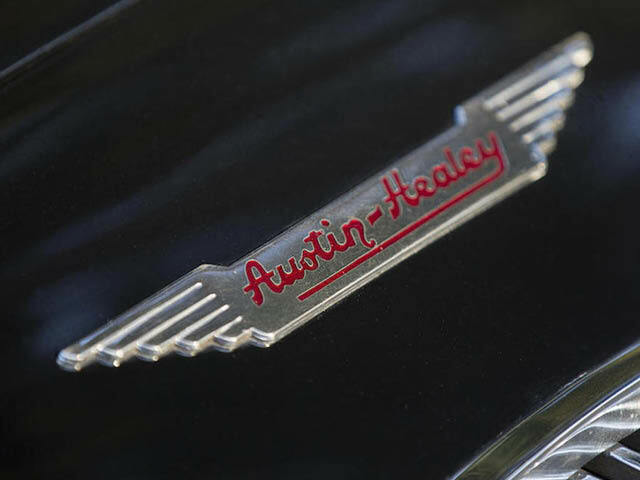 The Austin-Healey work, including painting the top of the Roadster body black. 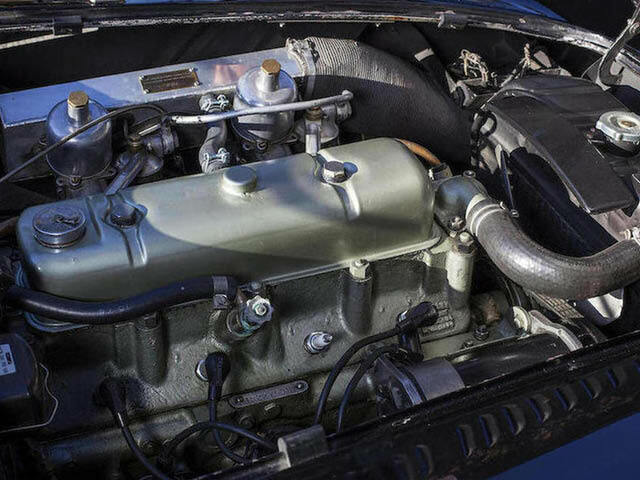 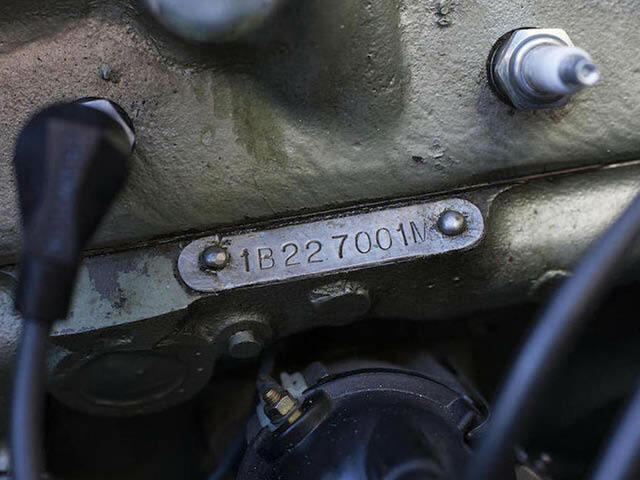 The engine was refurbished and the original 3-speed transmission was replaced with a BN2 4-speed unit. 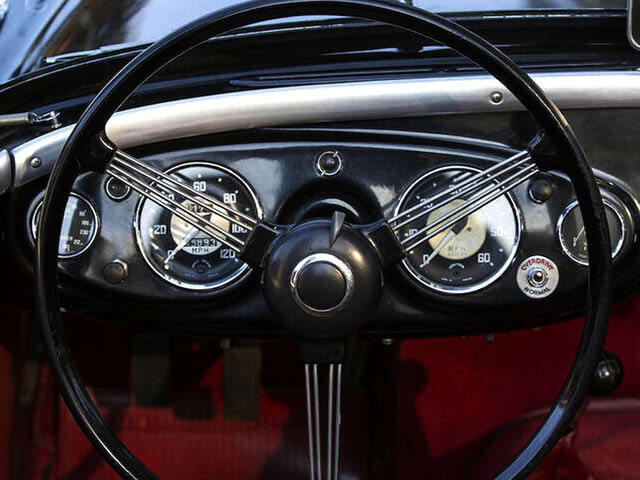 It should be noted that the 3-speed unit is offered with the car today. 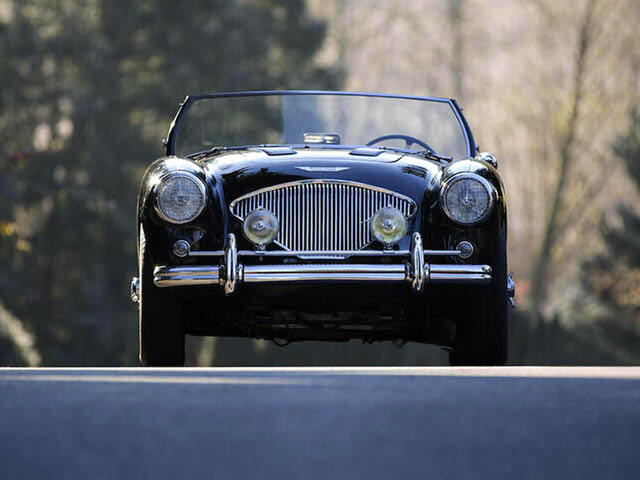 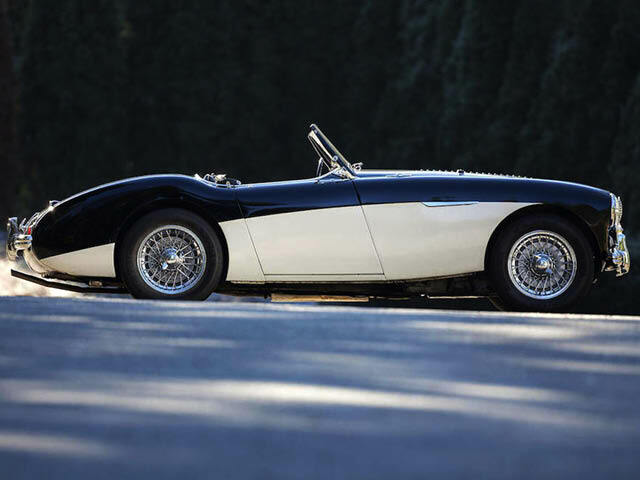 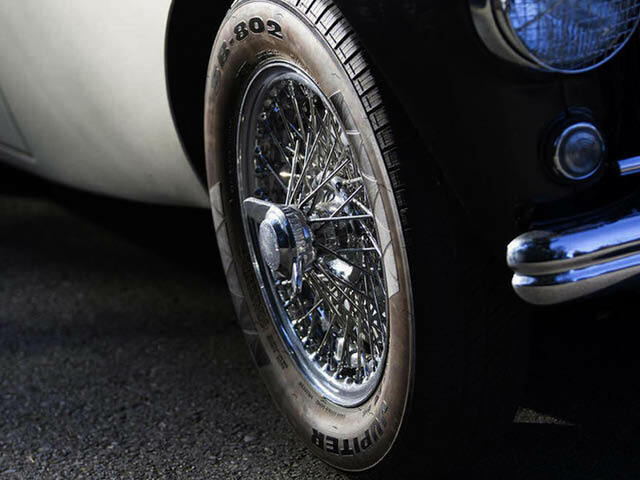 This Austin-Healey is offered with a Certificate of Membership from the 100M Le Mans Registry, as well as the British Motor Industry-issued Heritage Trust Certificate. 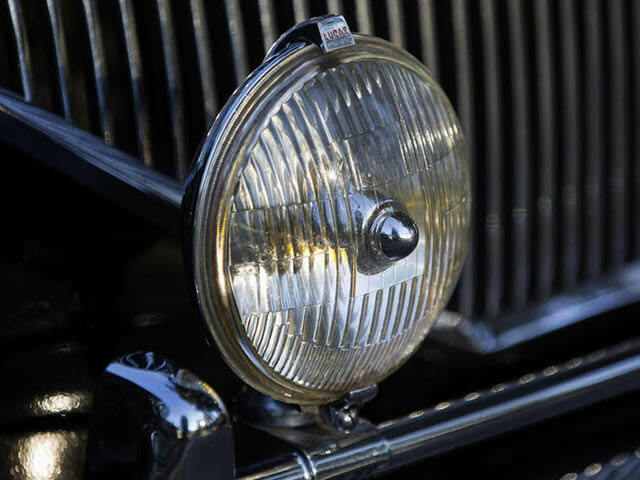 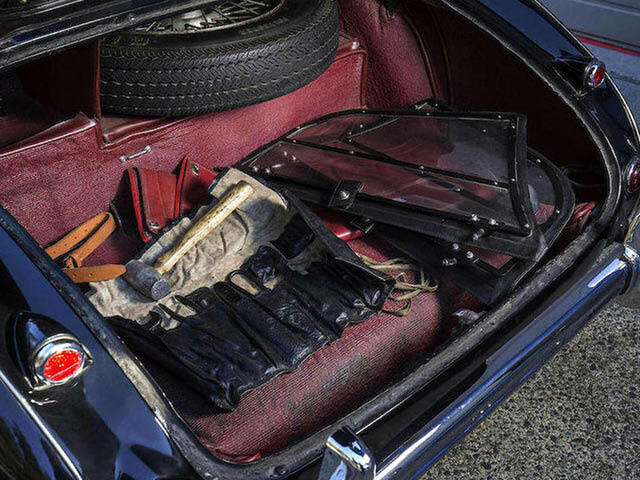 The car is equipped with period correct driving lights, and comes with tools, an owner’s manual and side curtains. 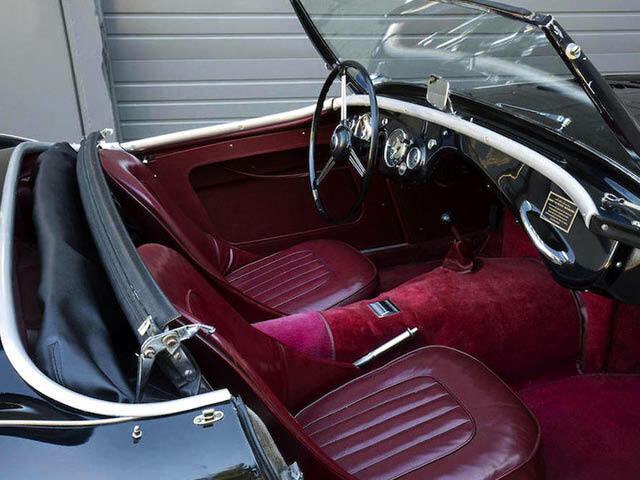 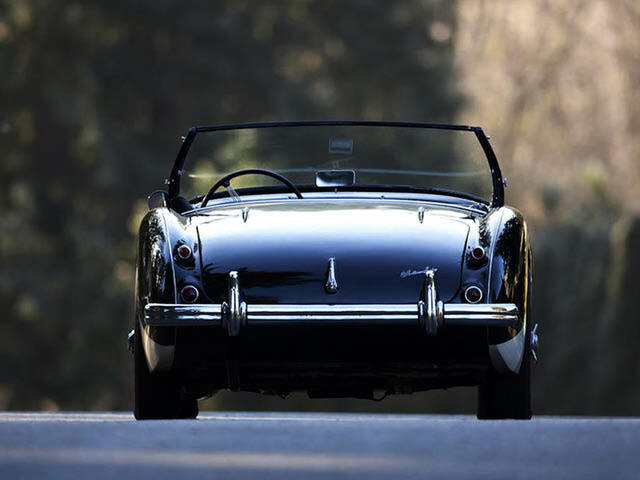 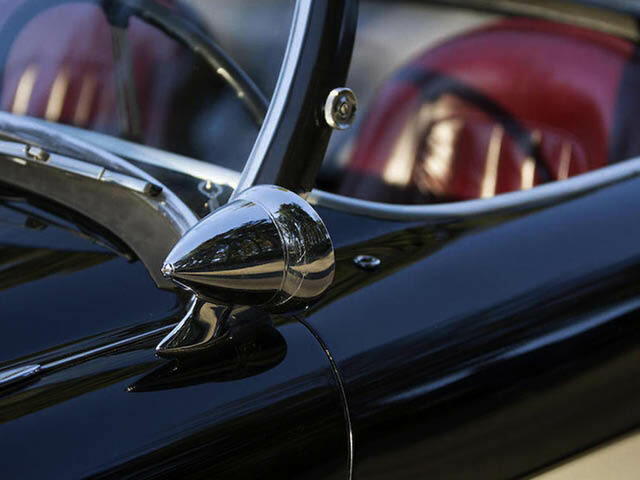 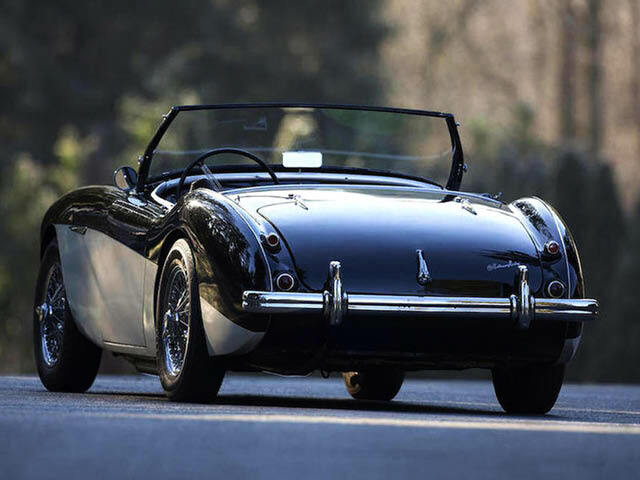 A lovely example of the classic British Roadster, this car is ready to be enjoyed by the next owner.